In the first ‘Michael Faraday Creation Lecture’, Professor Andy McIntosh reviews the scientific history linked to Faraday’s name, and shows the character of the man as well as illuminating his work. He goes on to talk about Faraday’s Christian faith, his humble spirit and his desire to walk with God through life. 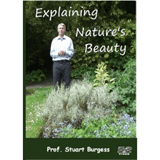 This is a lecture suitable for general viewers of all ages. 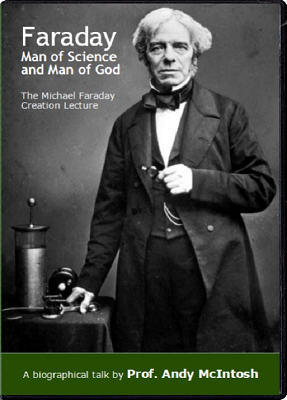 We learn that Faraday’s name is being used today in contexts that fail to honour his Christian faith and commitment to biblical truth. Nevertheless, using his own speciality of thermodynamics, Andy McIntosh provides an updated version of Faraday’s contribution to knowledge, showing that the machinery of life points inexorably to our Creator God.